77 South Bedford Street is 144,576 square feet of first class office space located in Burlington, Massachusetts. Built in 1986 and renovated in 2014 by RJ Kelly, the modern steel structure boasts a concrete panel system and glass facade. Inside, the office building features two atrium lobbies laden with granite pavers and open interior stairways to create an upscale corporate environment. 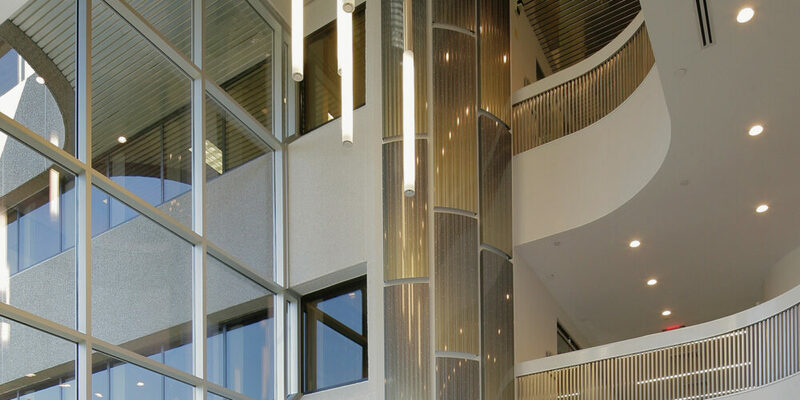 The focal point for the lobbies are two stunning metal wall features that extend upwards across the building’s five stories. 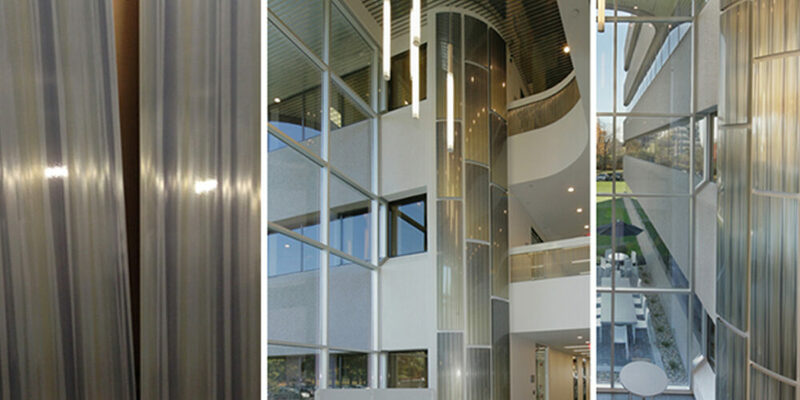 Manufactured by Móz Designs, the lengthy 36”D x 34”H staggered metal sheets are an engineering feat with each panel cut and installed to fit the project’s precise specifications. Móz Design’s Graphix Collection in Cosmos was selected for the metal finish. 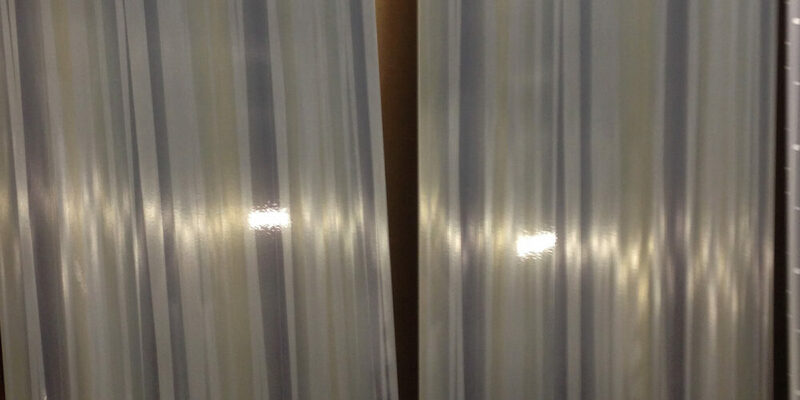 The shimmering, striated panels showcase the multilayered surface and graphic pattern. The light pewter Dusk shade combined with Móz’ Pinstripe grain and Polycoat Gloss finish elegantly reflects the flood of natural light that fills the space and complements the palette’s warm grey, green, and beige.